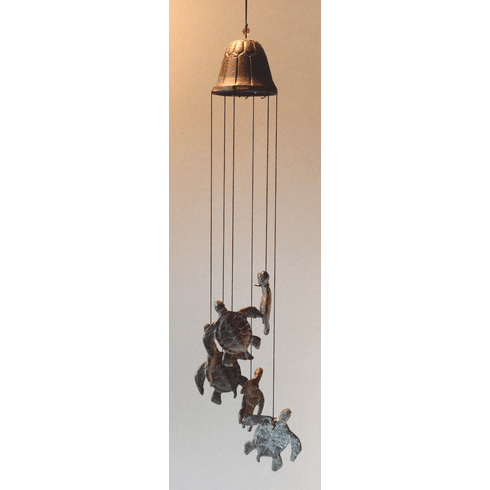 Sea Turtle Explorer Windchime - Enchanting musical windchime, makes music whenever the wind blows. Each sea turtle is hung from an adjustable cord so you can have your Sea Turtles 15" or longer depending on what you prefer. Surround yourself in the sound of cast iron turtles.